Let’s face it, Windows 7 may not that stable yet but since it’s got features that capture a lot of computer users, many people wanted to upgrade to it anyways even with the knowledge of future Windows 7compatibility and update issues. When things go wrong, a fresh reinstall of Windows 7 is in order. When this happens, it is highly recommended to wipe the hard disk out of all its contents and install Windows 7 from scratch. Before doing so however, these are the most important steps to follow to make sure that a reinstall is successful. All documents in the “Documents” folder which include documents, music, videos, pictures, and more. The user must put this in labeled folders so it is easy to locate them after the reinstallation. All “favorites” including favorite files, sites and many more. Hardware drivers for all computer hardware even though Windows 7 may be able to find all the drivers for the computer anyways. This is a safety precaution that every responsible computer users must be aware of. Product keys and serial numbers or any other activation information needed for installing all the applications that should be reinstalled in the fresh Windows 7 system. Service packs for Windows 7 that has been downloaded for the old Windows 7 system as well as for all the applications installed on it. This can be very sensible as it will save a lot of time later. Once the user is absolutely sure that his computer doesn’t have anything anymore that he needed for his new Windows 7 installation then he’s ready for the next step – fresh reinstall. It may be advantageous to use the advanced installation option especially if the user has more than basic knowledge of computers. In doing so, he can have several options before starting the installation that may help him a lot like formatting the hard disk and setting up the partitions to his preferences. Make sure that all applications and hardware will work with Windows 7 (assure compatibility). Installing and running Windows 7 Upgrade Advisor prior to the clean install can be very helpful to achieve this end. Insert the installation disc and follow the steps for custom install. As discussed above, it may be wiser to do advanced installation so the user can adjust any basic Windows settings to his preference. Move back all files and settings that were previously on the old Windows system. If the user created a list of all his applications, this step can be very easy. Reinstall applications and update hardware drivers. Once the installation is complete, the user can then personalize his Windows 7 by setting up the system just the way he wants it like his theme, his display and power settings, and many more. 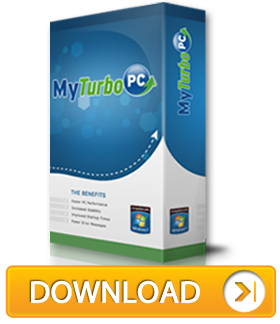 The above mentioned steps could be very easy to follow but if a user finds all these information rather overwhelming them he may just opt to carry on with his old system and just solve the issues therein by using a system tool like MyTurboPC. This tool will help clean up the system and solve system issues so that the user needs not to reinstall his operating system again and go through all the complications of doing so. I would like to know if I have to pay for each computer I install Turbopc on. I bought Turbopc for two computers within my household. I renewed my subscription on this computer already.